National security is the indispensible right of any nation which makes it sacrosanct and unassailable to the point that now governments can do just about anything and get away with it. So, you can imagine numerous nations crucifying their people in the name of national security. Let’s take North Korea for example, where a lot of people cannot afford a hearty meal and of course the government cannot help them with it, while they can satisfy their ambitions of possessing a nuclear weapon (provided of course if they don’t already have one). I can also quote Joseph Stalin’s Russia which would have been a more appropriate example but I don’t think people can remember that far (frankly nor can I). Sometimes national security also kicks in when you try to protest against the death of your own at the hands of your ‘brethren’. I think we all remember PEMRA telling us not to discuss the painful death of hundreds of our Hajis due to the shocking negligence of the Saudi authorities (please PEMRA, please!!! Don’t shut down my blog or my freedom of speech). In other words, there will always be things that governments can do and slap the ‘national security’ label on it and nobody will question them. I went through the SIPRI Arms Transfers Database, after I read the arms import story in the news. I must thank organisations like SIPRI for keeping us in check or at least providing us with the tools to keep our governments in check. 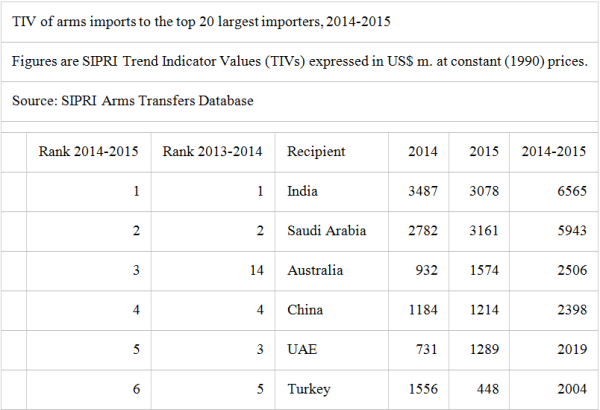 Apart from the usual charts quoted by several newspapers I went through another file The Trends in International Arms Transfers, 2015. The file mentions a wealth of data on trends in the last 10 years. Pakistan has gone down the largest importers list by one place and so has India. The world’s new frontline states in the war against terrorism (or condom nations as I call them, the use, abuse and refuse kind) (If you find it offensive, please Google how Jamaat-e-Islami protesters spell ‘condemn’ in their banners) are now increasing their imports by mountains-full of money. And from whom – no other than the world’s largest exporter of democracy, the United States of America. Oops I meant arms. I have always wondered why the export of arms is directly proportional to the export of democracy in world politics. Hmmm. If we look at last year’s import list, which can be searched from SIPRI’s website (I am copying it below for the benefit of the readers, since no regional paper printed it for comparison), we can bring to light that Pakistan actually decreased its imports by $17 million which represents a 2.26% decrease. India on the other hand, decreased its imports by $409 million which represents an import reduction of 11.73%. Now if Pakistanis were jubilant at our drop in these ratings, please stop because we didn’t really decrease our imports, others significantly increased theirs. At the other end, nations such as Saudi Arabia drastically increased its imports (no surprises there). With its push for war in Syria and being a frontline state in the war of Western preservation in the Middle East, its imports jumped by a whopping $379 million or 13.62%. 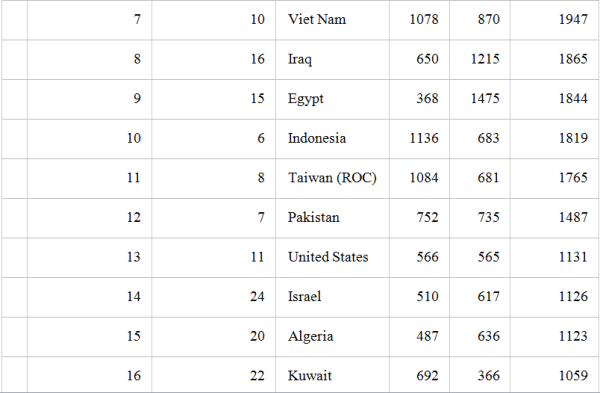 Other high rollers were Iraq with 565 million (86.92%), UAE with 558 million (76.33%) and Australia with $642 million (68.88%). Iraq and UAE being part of the Middle East crisis are understandable but why Australia went high for arms imports this year is another thing worth looking into. Another important trend mentioned earlier is America’s role as the world’s largest arms (read democracy) exporter. America increased its share of international arms exports from 29 per cent to 33 per cent in the last five years. Its major import partners are (no prizes for guessing) Middle Eastern countries namely Saudi Arabia (9.7% of total US exports), UAE (9.1%) and Turkey (6.6%). 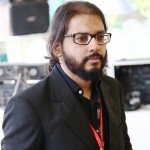 One important trend to highlight is the shift in Pakistani and Indian import practices. Both countries significantly decreased their arms imports from the US. Pakistan’s imports dropped from $189 million to $66 million, a 65 per cent decrease while India went even further from $1,141 million to $302 million or a 73.5% fall. 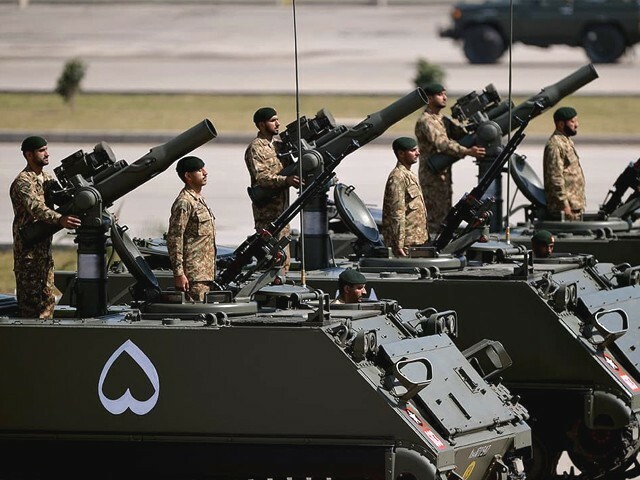 Pakistan’s move is understandable with the military establishment leaning towards China and Russia and thus more imports can be expected from these countries in the years to follow. Will Pakistan Army drop any NATO arms standards or any STANAGs (Standardisation Agreements) it follows, if any, is another question. India’s snub of American arms needs more analysis, as there is no visible shift in Indian military policy as of this moment. Let’s hope that one day Pakistan’s arms imports will actually make a significant drop rather than being stagnant like everything else is in this country. You chose a good topic, but got carried away by your strange tendency. Dont you know that this is not your personal blog? Pak Army needs to increase their nuclear stockpile more and also increase their arms import by atleast 10 times the current levels to maintain regional stability. Pakistan is the most peaceful nation in whole of South Asia but no one should test its patience. It is the only country desired by all the world powers to have as their ‘strategic partner’ due to its geostrategic location. It is also the fortress of Islam and the only Islamic nuclear power.